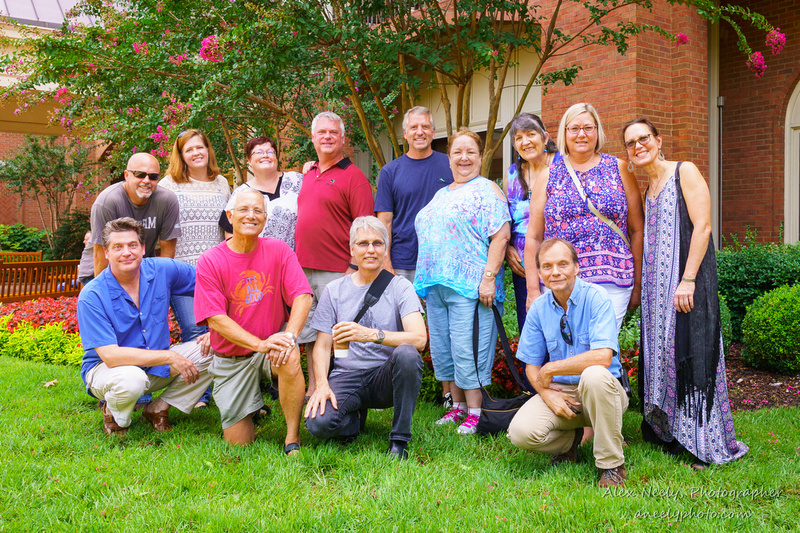 Tour “real” Nashville, eat great food, attend private concerts and workshops, record in a Nashville studio, make new friends and enjoy the ride! Singer/songwriter Antsy McClain guides you through three days of fun, food and music, starting with a tour of Music City and ending up in a state-of-the-art Nashville studio making music together. Everyone has Nashville on their bucket list if they haven’t been there already. But where do you go? What do you see? Who has the best entertainment? Where is the best hot chicken and barbecue? These are common questions we hear from friends visiting Music City. Most weekend tourists stay along the 5 blocks of real estate known as Lower Broadway, where all the live country music is. It’s Nashville’s biggest tourist attraction, but if that’s all you see, you’re missing out on the heart of this city and Nashville’s place, not just in music, but in history and culture. Nashville played an instrumental role in the Civil War as well as the Civil Rights movement of the 1960’s. In just over 200 years, Nashville has grown from a sleepy river town to become a major railroad hub in the 19th century, to an important crossroads of three major interstates in the mid 20th century, and is now one of America’s fastest growing, progressive cities, and an attractive destination for young people working in the tech industry and other fields. Antsy McClain has lived here for 25 years. His first job in Nashville was a tour guide, and he has played music and recorded here since the “Garth Brooks boom” of the early ’90’s. He’s seen a lot of changes, and he knows all the sweet spots. The Nashville Field Trip is a way to explore your creative side and tour one of America’s most interesting cities. Click HERE to sign up. • Have a meal at the downtown Woolworth’s where African American students first protested segregated dining in 1962. Feel the goosebumps as you look around at folks of all races, all walks of life eating, drinking and laughing together. • Have a beer in one of downtown’s oldest honky tonks, and hear live music by one of the thousand working bands cranking it up within the city limits. • Enjoy home-cooked meals prepared by Deana Lynn, served casually as we get to know each other around the table. • Pick a cozy seat and enjoy an intimate house concert hosted by Antsy and Deana Lynn. Antsy usually starts things off with new stuff he’s working on, maybe a fan favorite or two, and then turns it over to any number of his talented friends, professional songwriters and musicians who are there for your listening pleasure. They’ll play their music, tell their stories and answer your questions. Jams usually materialize, and that, as we say around here, is when the magic happens. Friday night, 5PM: Happy Hour at Home with Antsy and Deana Lynn. We get to know each other and rest up from a day of travel. Then we sit down for a delicious home-cooked meal by Deana Lynn. After dinner, we gather in the living room for music. Antsy shares some new songs, and the guitars come out. We all get to hear what you’re working on. Now, if you don’t play or sing, don’t worry about it. Everyone in the circle shares something, whether it be a favorite poem, story or joke. The “guitar pull” usually turns into a philosophical discussion of why we do what we do, and what motivates us as creative people. Saturday morning, 11 AM: We meet and head into the heart of Nashville, where Antsy guides you through the hot spots and those off-the-beaten-path places that makes this town so unique. We have lunch at one of Nashville’s well-known places, taking a consensus and seeing what everyone wants, from Tennessee BBQ to Nashville’s famous hot chicken, or we’ll go to one of our countless food trucks serving everything from Mexican to Cajun, and everything in between. Saturday afternoon: We start in Music Row as Antsy gives you a drive-by history of “The Nashville Sound.” From there we’ll visit the time-honored classic spots that made Nashville what it is today, as well as visiting a few of “New Nashville’s” alternative and underground scenes. 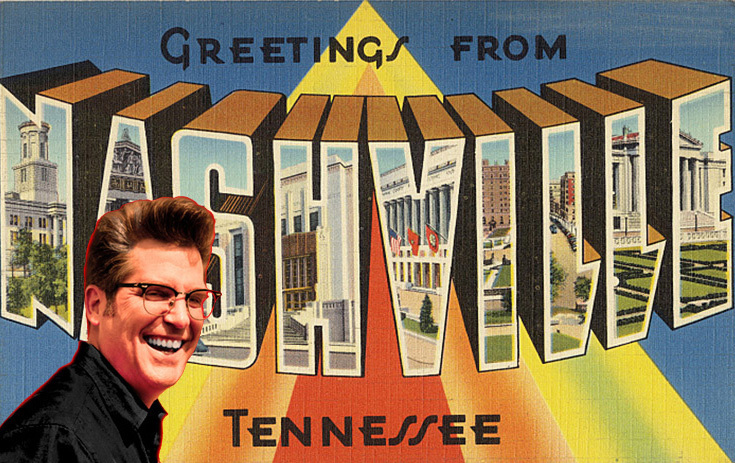 Antsy’s music has been called “unique,” “out of the ordinary” and “off the beaten path,” so it’s no surprise his guided tours of Nashville would include the extraordinary people and places that you won’t hear or see on a bus with a bunch of tourists. 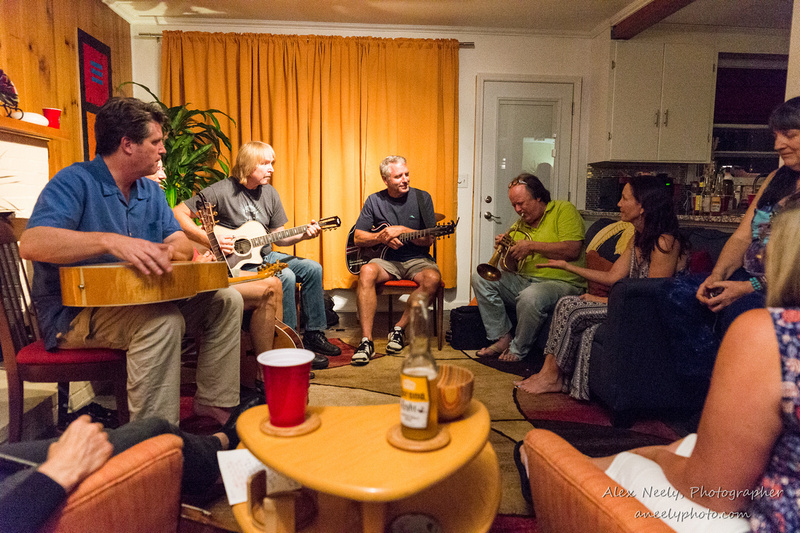 Saturday 5 PM: It’s happy hour again, and we’ll gather back at the house while another great dinner is prepared. 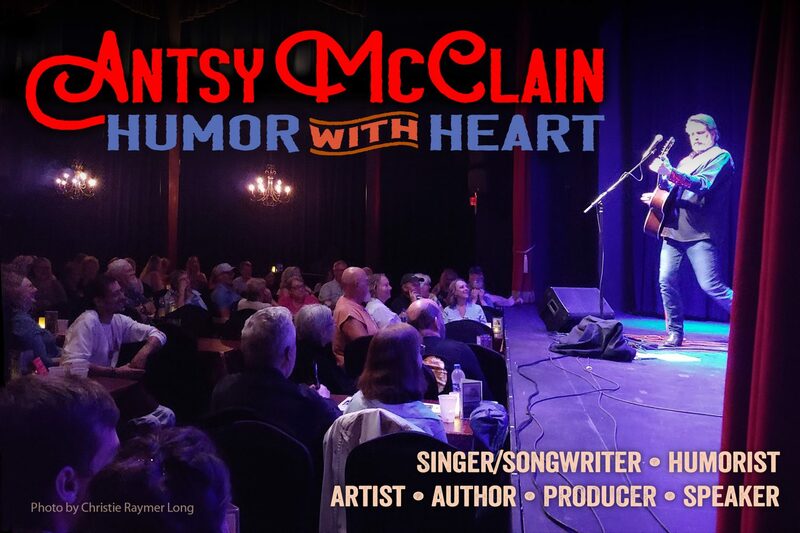 After dinner, we’ll gather for an intimate house concert by one of Nashville’s best songwriters and musicians, hand-picked from Antsy’s wide circle of friends and acquaintances. Afterward, jams have been known to happen. 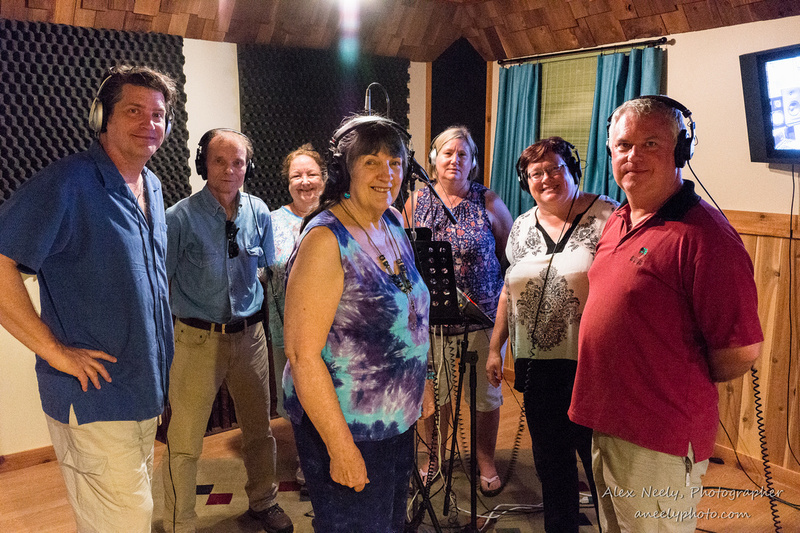 Sunday, 11 AM: Antsy takes you to a state-of-the-art recording studio where you’ll watch the process of creation and be a part of Antsy’s own music as you sing on a chorus or two of one his own songs, earmarked for a future album. Our first event is Friday at 5 PM, and our last goes late Sunday night, so you’ll want to make your travel plans accordingly. If you want to spend a few extra days before or after, many folks do that, and Antsy can help with restaurants, parts of town, site-seeing destinations, etc., to make your stay in Nashville as enjoyable as possible. Hotel and Air BnB info: Any hotel or Air BnB near the airport would be a perfect distance from where you’ll need to go, and there are plenty of options there with reasonable rates. Tourist season (From June to early Sept) will be a tad bit higher, but if you reserve early, it won’t be that much different. If you want less expensive, non-chain options, anything on the East side of town, in the areas of Hermitage or Donelson might be fine, but as is typical with travel in any strange city, research the area, it’s safety, etc., before making your reservation. That oughtta cover it! We’ll see you in Nashville!